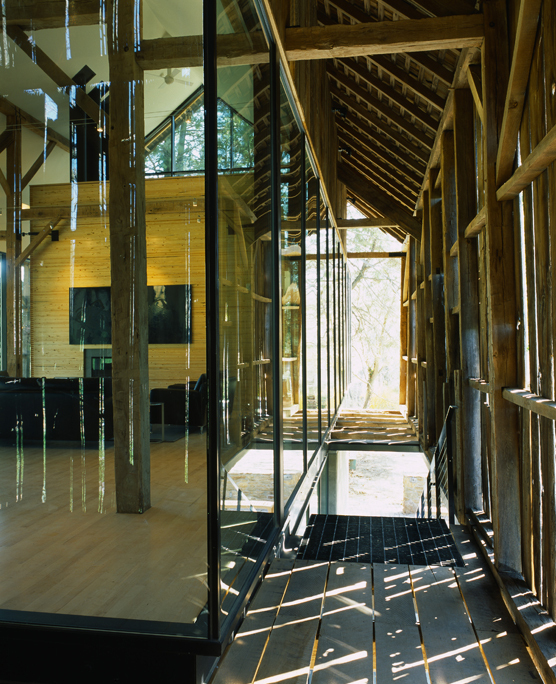 Giving a near-ruined barn a new identity and purpose, we merged opposites—historic with modern, opaque with transparent—in our design for a private art gallery and guest residence. 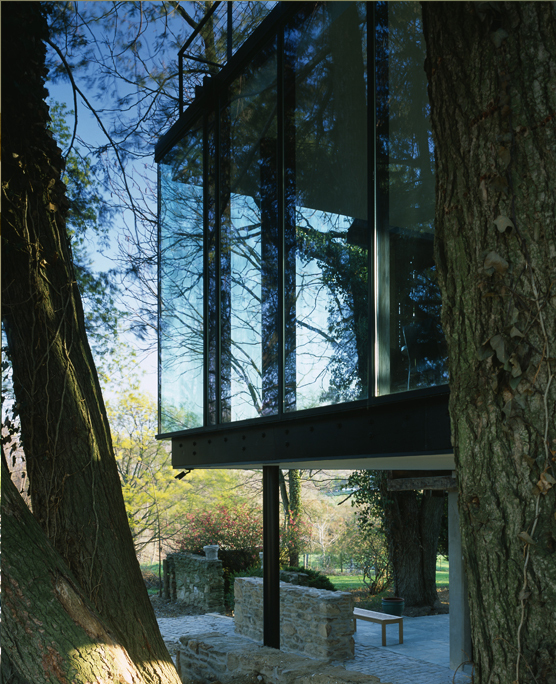 After stabilizing the antique wooden structure, we inserted a pristine glass box at the first floor of the building to house the art collection. 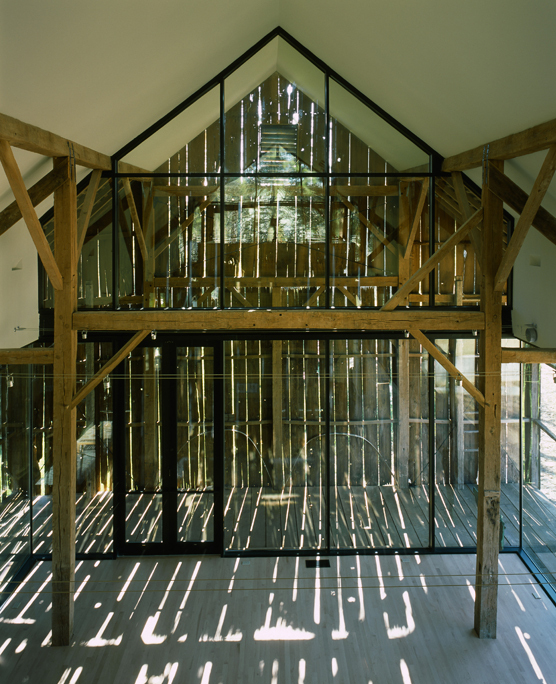 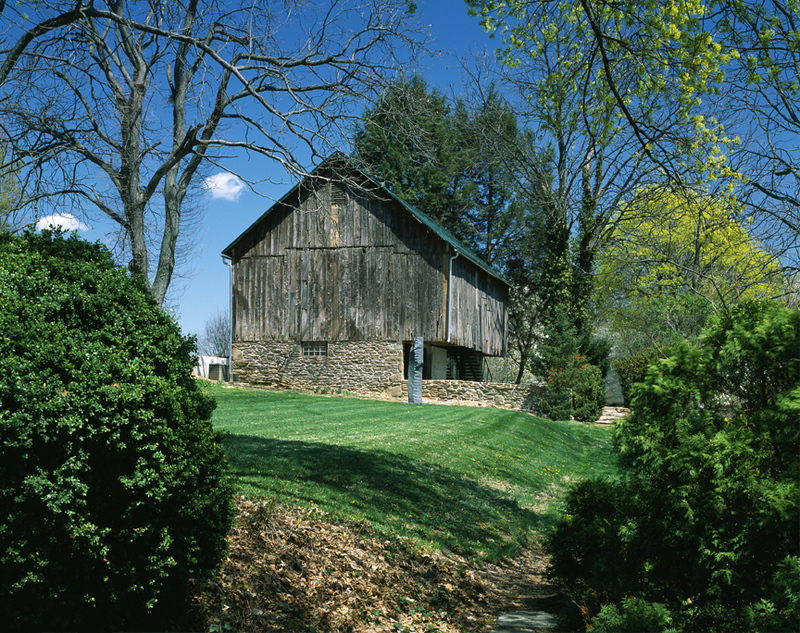 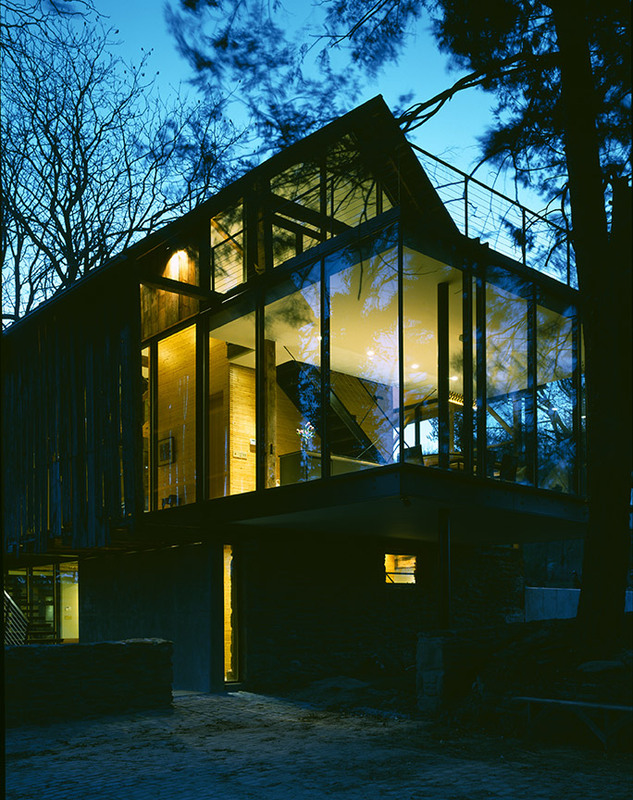 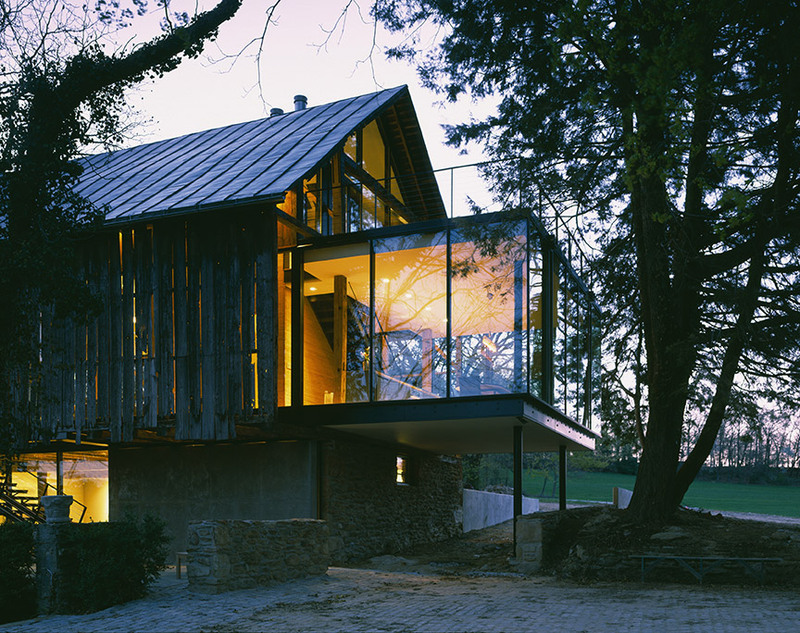 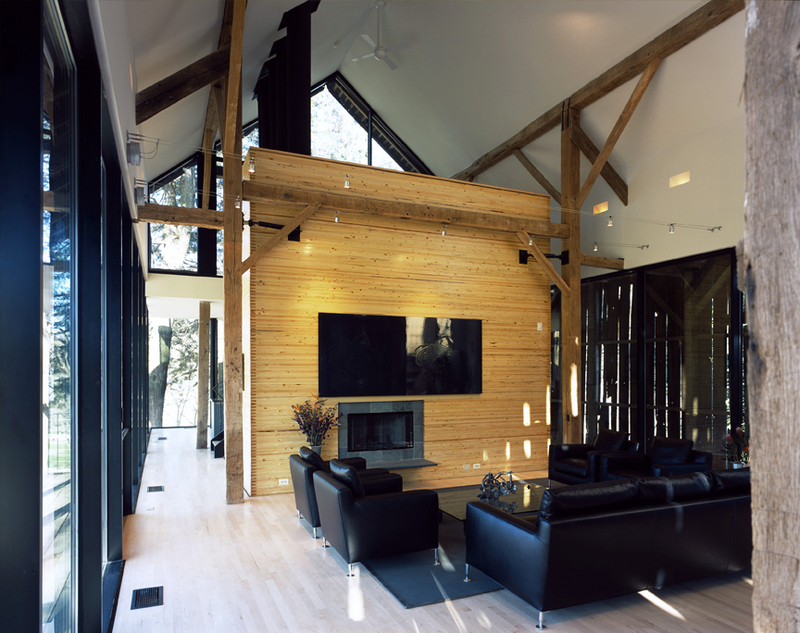 The contrast between the architecturally pure glass volume and the rough, vernacular character of the barn is not only material; it is also temporal in nature. 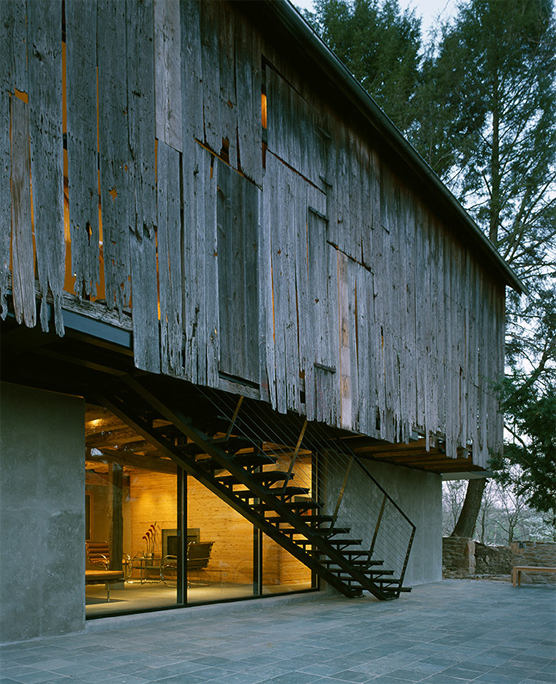 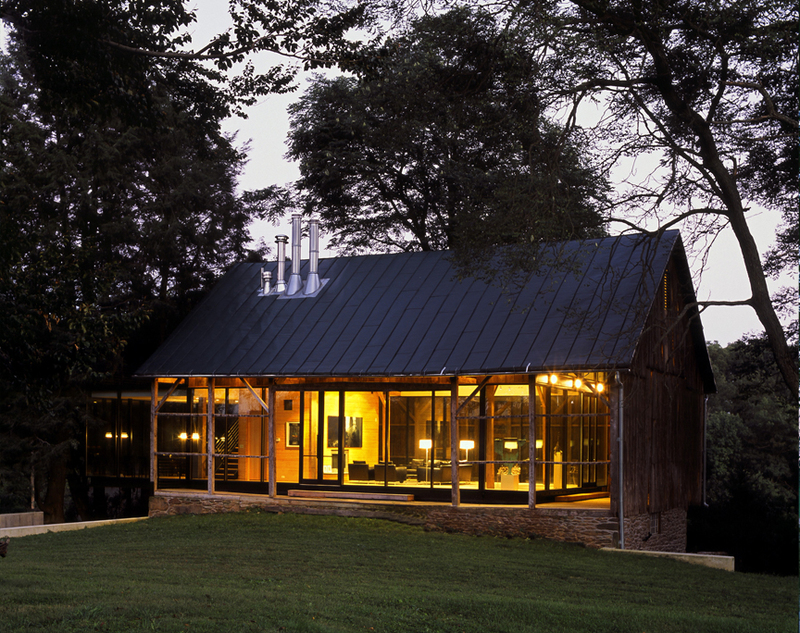 The location of the barn, on the border between cultivated land and natural forest, forms another element of contrast. 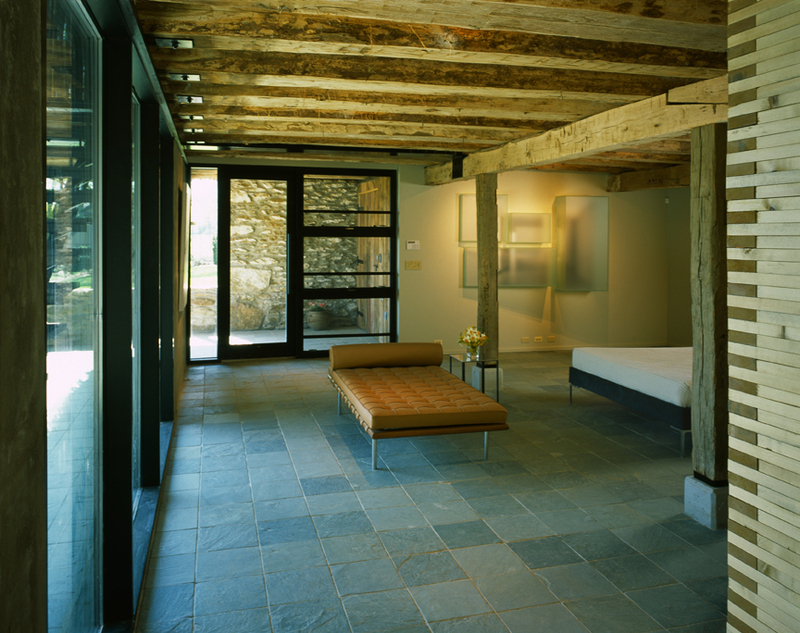 On the ground level of the 3,480-square-foot building, we installed a guest suite, with kitchen, office, work-out facilities, and storage space within the original stone wall foundation.